If you are somebody who likes your car interior neat and tidy, carpet protection is one of the easiest things to do nowadays. There are a number of companies that have various options to keep your carpets looking like brand new. In the past, these options were really only available for trucks and SUVs. 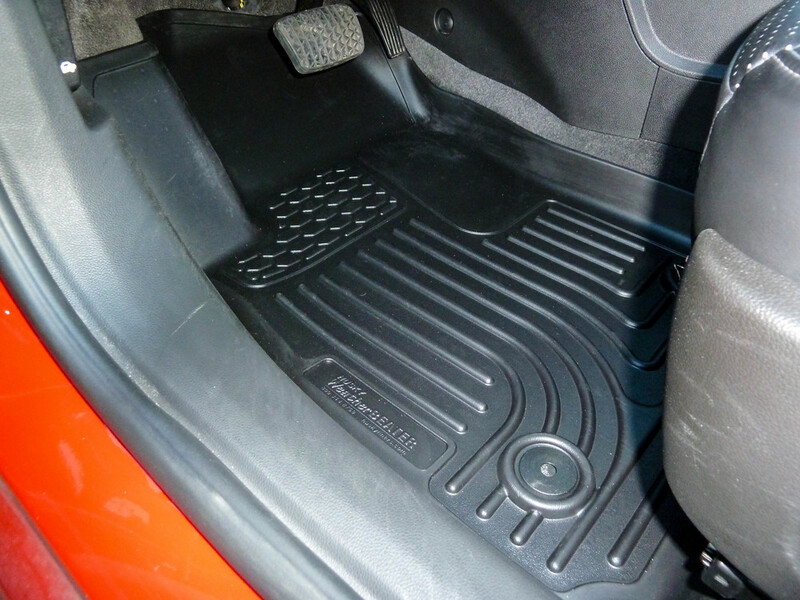 Now it seems like you can get quick and easy floor protection for just about any vehicle. Husky Liners sent us their WeatherBeater Floor Liners to try out on one of our long term test vehicles. 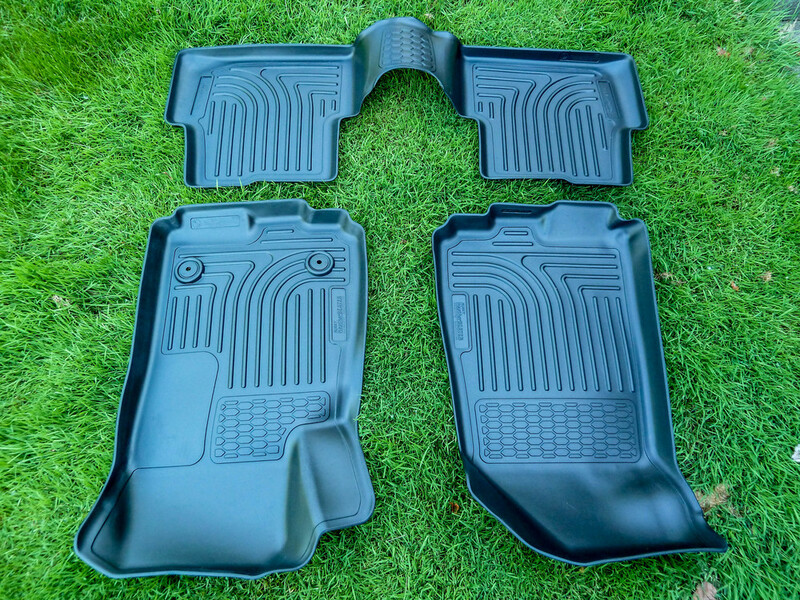 When they say floor liner, these basically are perfectly molded to a specific vehicles floor. These will not fit any other make or model. They have raised edges that contain spills and also offer more protection. When you have these installed, they will catch and trap just about anything that falls on them. Once you are ready to clean your car up, simply remove these and hose them off. The $1.75 spray and wash really gets them looking like brand new with a little soap then rinse water. Hoagies Garage is based out of Akron, Ohio. We get all four seasons here and this type of floor mat is almost a necessity in the colder months. Wet shoes, snow covered boots, road salt, cinders, and just about any other winter element is captured and contained by the Husky Liners. For this particular vehicle, they are only offered in black, so dirt and debris will show easily, but I'd rather have it sitting on the plastic liners than being ground into the vehicle carpets. One recommendation I would have if you decide to go with these Husky Floor Liners, simply remove them and clean every so often. You'd be surprised how much they catch and how quickly the exposed carpet can become dirty. Basically, you will see a definite line of clean/dirty on the factory carpets when you pull these out. So just run your shop vac all over so that doesn't become permanent. 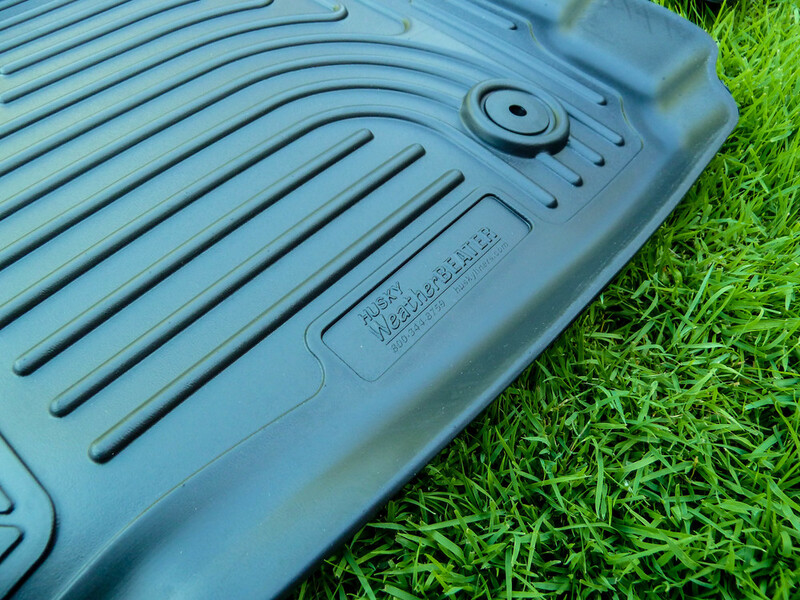 Husky makes a great product, so for your floor liner needs, Hoagies Garage recommends you give them your first look.